Previously Converge broke their creative silence with the announcement of a brand new 7″ featuring two brand new tracks. One titled “I Can Tell You About Pain” another “Eve” both very different tracks for varying reasons. Nevertheless their purpose worked and the whole world got excited about the possibility of new material from Converge. 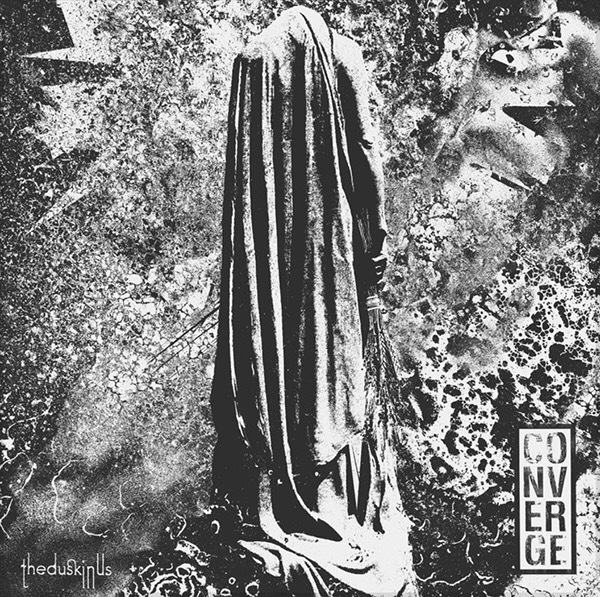 Now the day has at long last come, Converge will be releasing their brand new album titled The Dusk In Us, November 3rd via Epitaph. Though currently there haven’t been many details surrounding what the record might be standing for we do have the track listing and a brand new song! First single to come off the album “Under Duress” is no less heavy than what we have come to expect from Converge but a slower dirge rather than a sledgehammer. We’ve also got the album’s brand new artwork to check out as well which is suitably bleak. Listen to the track now and I would imagine this will probably be worming it’s way into people’s album of the years very soon! Converge’s brand new album The Dusk In Us is set for a November 3rd release via Epitaph.